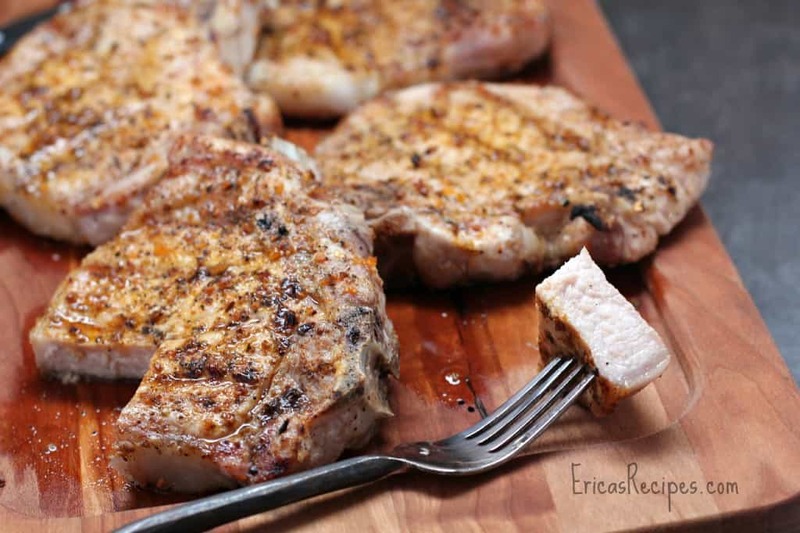 Perfect Grilled Pork Chops are assured every time if you follow these simple but crucial tips! Brining isn’t just for roasting chicken or turkey, I think it’s also a necessity for grilling pork chops. 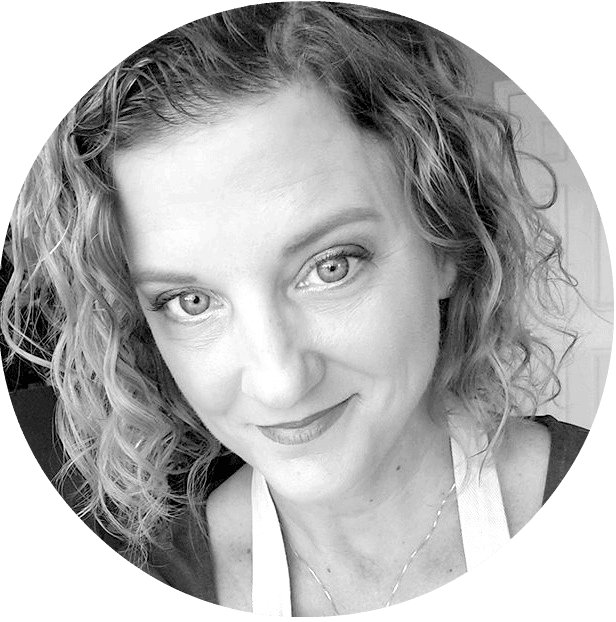 Pork is so easy to overcook on the grill, and brining buys you a little lee-way. It makes the meat just a little more forgiving. 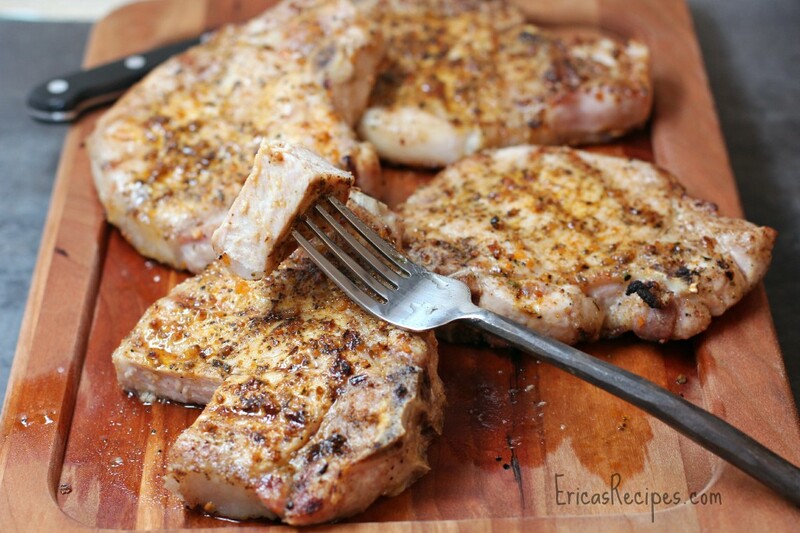 And the result is juicy, succulent, delicious Perfect Grilled Pork Chops …even on a weeknight. Take a large mixing bowl and fill halfway with water. Add 3 T each sugar and kosher salt and stir to dissolve. 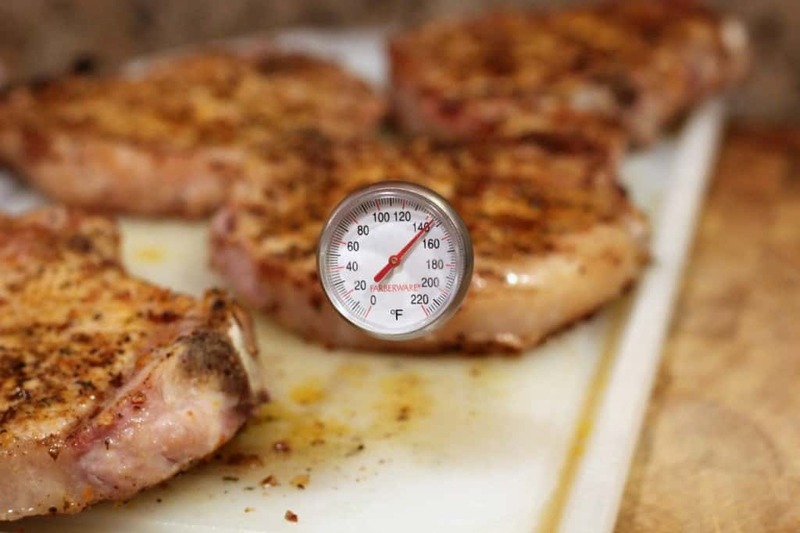 Add the pork chops and brine at room temperature, 30 minutes to an hour. Remove chops from the brine and pat dry with paper towels. Lightly coat the chops in olive oil and season well on both sides with kosher salt, granulated sugar, Old Bay, McCormick seasoning, and pepper. Let sit at room temperature while the grill heats. Heat the grill on medium-high heat (this is ~400F on my grill). Place the chops on the grill and cook, covered, 5 minutes. Flip and cook 4-5 minutes or until internal temperature reaches 145F. Remove pork chops from the grill and let rest 5 minutes before serving. Serves 4. It is winter time in Canada now. Looking at your food pictures really make me drool and starve. Looks do good!